About a week ago, we did a spring clearing series and silly us completely forgot about beauty products! 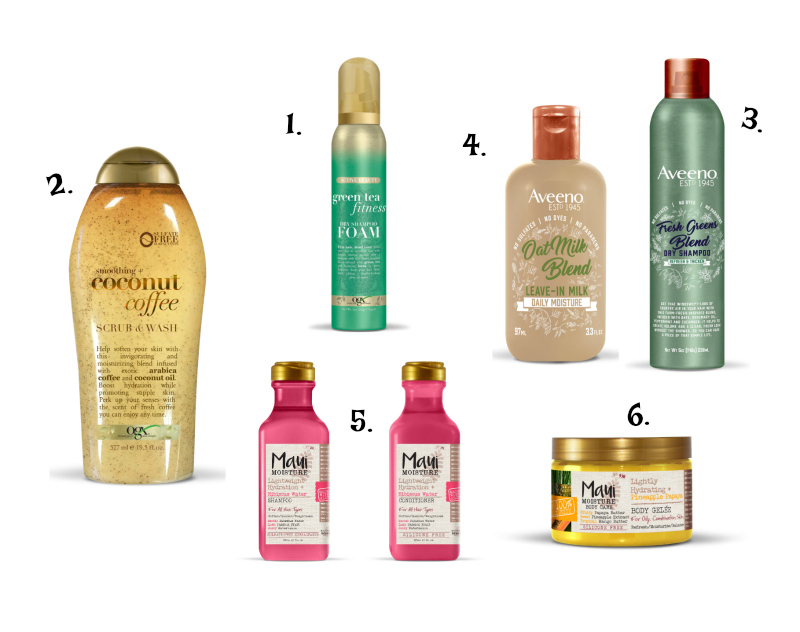 Now that spring is officially here, we wanted to share the latest and greatest products that we've found so far this season. With products ranging from fresh hair care to vibrant makeup and on-the-go goodies it's out with the old, in with the new... spring beauty products. 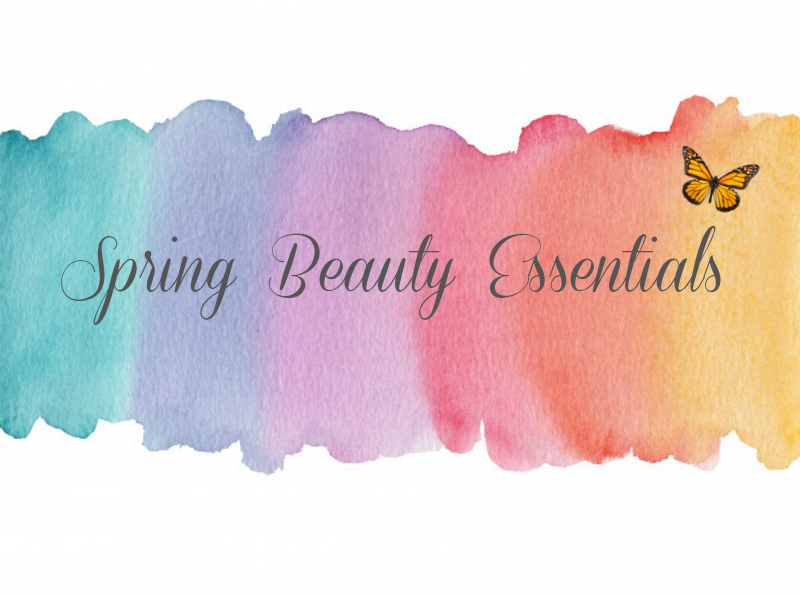 We’ve rounded up the perfect selection of new products to replace your winter routine and have you spring ready! OGX Active Beauty Green Fitness Dry Shampoo Foam – perfect for post-workout plans, this quick-drying foam formula absorbs excess oil, creating refreshed, shiny strands. OGX Smoothing + Coconut Coffee Scrub & Wash – infused with coconut oil and arabica coffee, this body wash tones and tightens skin. Aveeno Hair Fresh Greens Blend Dry Shampoo – infused with cucumber, rosemary, and peppermint, this dry shampoo refreshes and thickens hair to add volume. Aveeno Hair Oat Milk Blend Leave-In Milk – repair winter damage with this soothing cream that provides hair with all-day hydration and balanced moisture. Maui Moisture Lightweight Hydration + Hibiscus Hair Shampoo & Conditioner – a refreshing and weightless line developed with exotic botanicals and plant essences found on tropical islands to soften and hydrate hair. Maui Moisture Lightly Hydrating + Pineapple Papaya Body Gelée – this gelée absorbs instantly and soothes skin with pineapple, papaya, and mango butter ingredients. Kaja Roller Glow Roll-On Highlighting Balm – a prismatic duo-chrome finish infused with pink ruby powder that leaves a soft, even glow. I Dew Care Straight Radiate – give your skin a sun-kissed, beachy glow with this radiance boosting bouncy gel cream daily moisturizer. PAT McGRATH LABS EYEdols – launching March 28th, these hybrid cream-infused powder formulations release infinitely smooth and extremely blendable pigments that glide right on eyes. 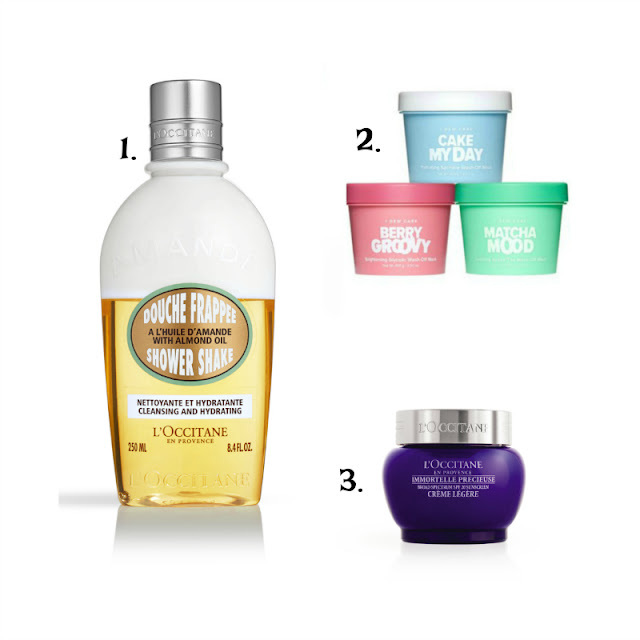 L’OCCITANE Almond Shower Shake – an innovative new bi-phase formula with hydrating almond milk and rich almond oil to cleanse and moisturize skin. I Dew Care Ice Cream Collection - sells as an pack of three Mini Scoops or individually. Included in the collection are Cake My Day, Berry Groovy, and Matcha Mood. 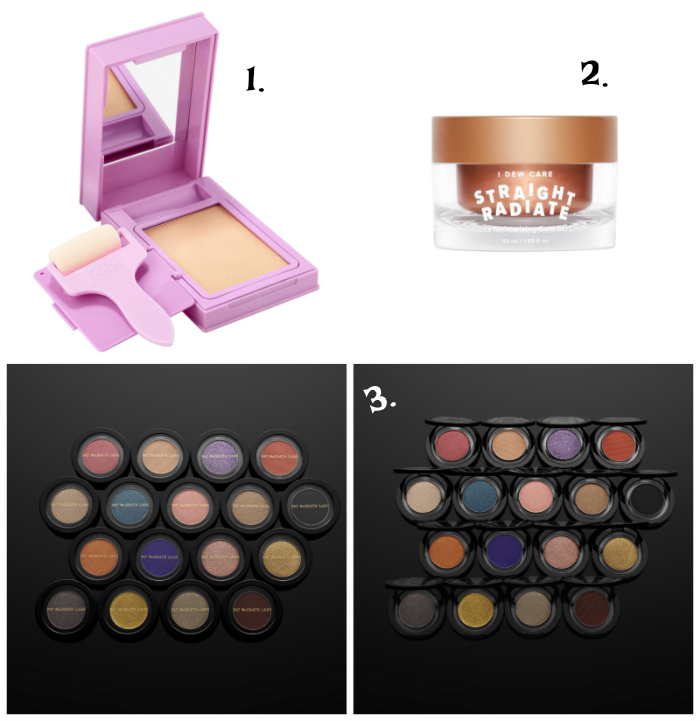 Each targeting a specific need and so perfect for spring. L’OCCITANE Immortelle Precious Light Cream SPF 20 – now with UV filter! Reduce the appearance of fine lines with signature Immortelle, revealing younger-looking and glowing skin.